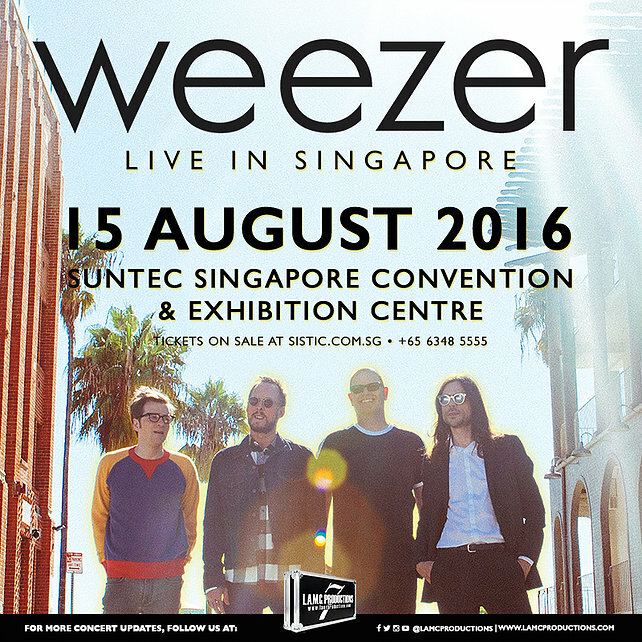 American alternative rock band, Weezer is set to debut their first ever show in Singapore at the Suntec Singapore Convention and Exhibition Centre this 15 August 2016! The four-member band is probably most known today for their mainstream hit “Beverly Hills”, which became the first single to top the U.S. Modern Rock Tracks chart and the first to reach top ten on the Billboard Hot 100 chart. The song was also nominated for Best Rock Song at the 48th Grammy Awards in 2006, the band’s first ever Grammy nomination. 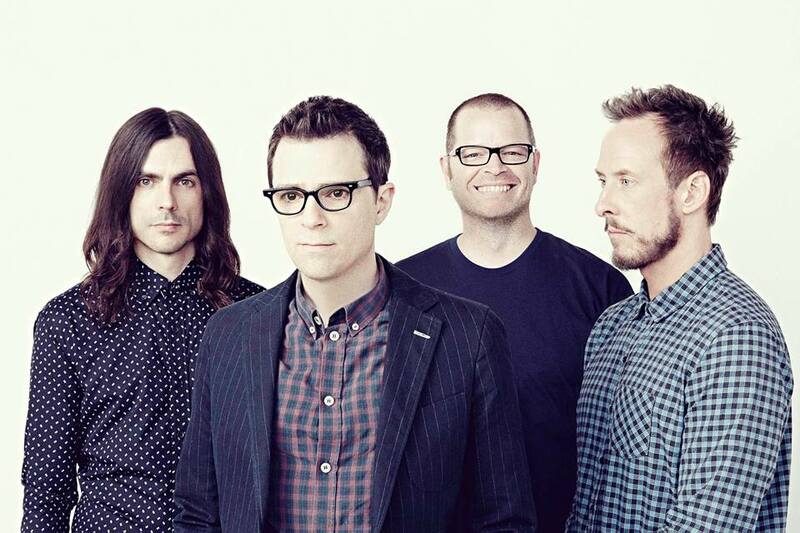 The band won Best Short Form Music Video for their 2008 song, “Pork and Beans” at the 51st Grammy Awards. That’s not all as Weezer is set to release another self-titled album, also known as “The White Album” (their debut album in 1994 is also named “Weezer”), which is the band’s 10th album, due for release on 1 April 2016. 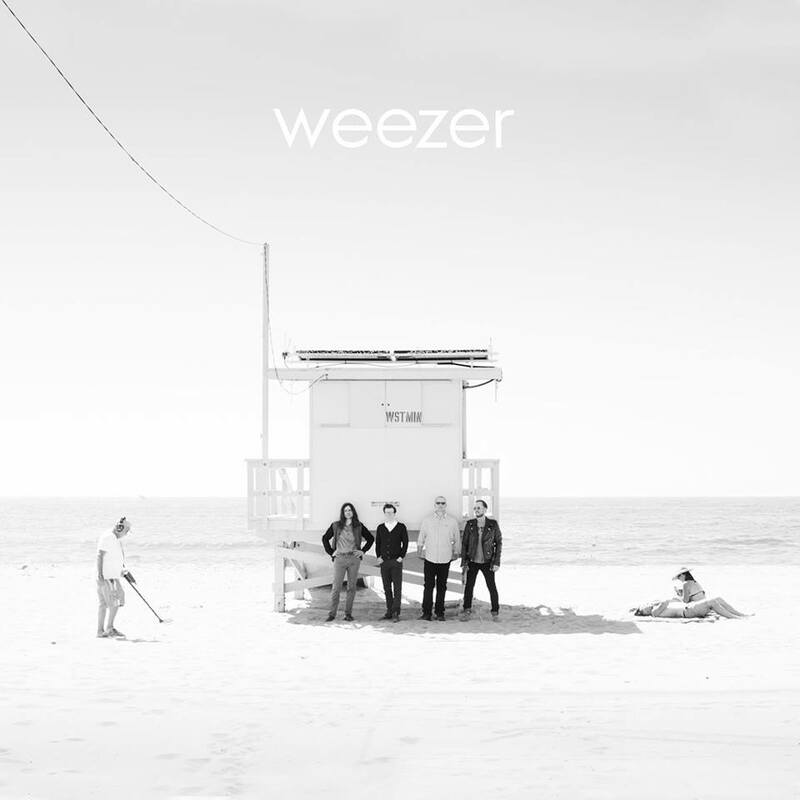 Just yesterday, the band released the music video for “California Kids”, one of the songs from their latest album, featuring the kids from the snapchat viral video, “Damn Daniel”. Organised by LAMC Productions, Weezer will obviously introduce the songs from their new album as well as several popular ones from their past albums this coming August, with tickets expected to go on sale this 19 March 2016 at sistic.com.sg. The prices are set at SGD108, SGD118 and SGD138.